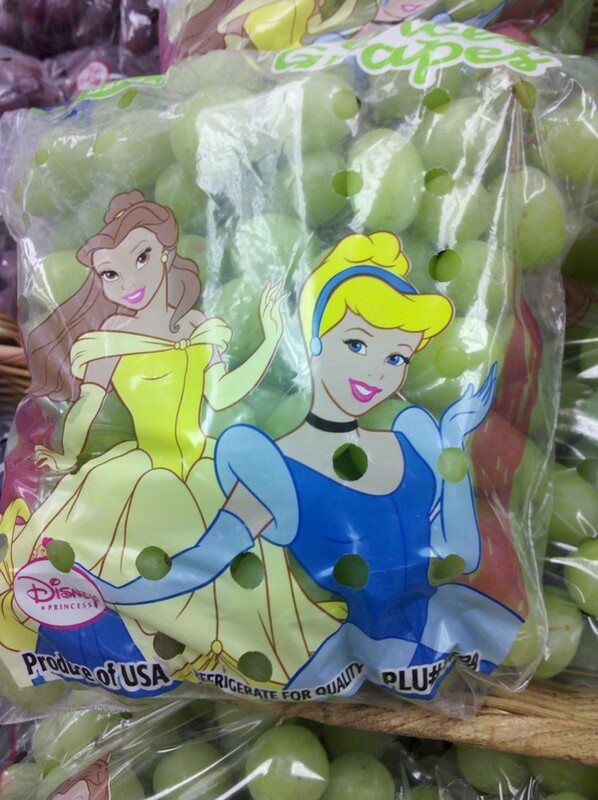 This is the first time I've ever seen Disney marketing on produce. Definitely looking forward to their lettuce line. Seriously WTF? I'm glad it's not on a bag of cookies, but who came up with this idea?